It gives me great pleasure to announce that at long, long last my novel Every Step of the Way is finally being published and set for release 14 April. It’s turned into a double whammy as it’s being published not only as an ebook by one publisher, but also in paperback by another. It’s taken many years and many false hopes and starts to reach this point and I had decided to self-publish as an ebook and be damned. Have made that decision, I then found ThornBerry Publishing. ThornBerry only publish in ebook form. They are a new UK publisher and my book will be the first they have produced. The guinea pig. But, hey, I don’t mind. They all have to start somewhere. But the story doesn’t end there. Shortly before Christmas 2011, a fortuitous email crash landed in my inbox offering me the opportunity to have my book published as a paperback through an Arts Council funded scheme if I submitted it before February 2012. I looked into the matter and decided yes, that is what I’m going to do. To see my long-suffering baby in print, proper print, was a dream I thought I would never see some come true. 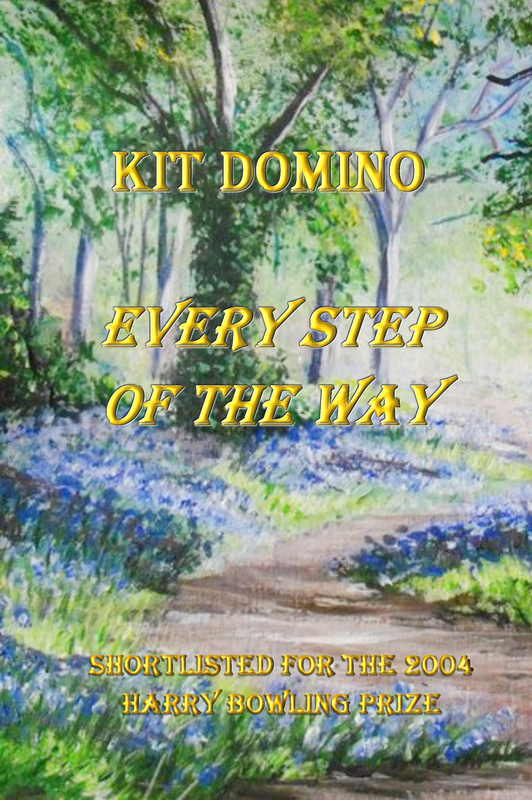 ThornBerry Publishing raised no objection to this, so hey presto and cue the fanfare: Every Step of the Way will be launched in paperback form on an unsuspecting world this April, hopefully to coincide with the ebook launch. She fell into step with him as they turned their backs on the river. He surprised her a few steps later by pulling her round into his arms again. “Yes. My dad, for one thing. He’d kill me.” She shrugged off his arms, half-laughing, half unsure if he was in all seriousness asking her to marry him. Wonderful news, Kit! It certainly proves patience is our friend. So happy for you and looking forward to the read. Thank you so much, Patricia. Never say never, indeed. So looking forward to reading it at last! Kindle or paperback – oh, such a nice decision to have to make! Thanks, Alison. Your turn next? Congratulations Kit. Wishing you mega sales and a whole lot of fun. Thanks, Lavada. Exciting times ahead. Congratulations, Kit. That’s great news. Many thanks, Anneli. Have waited a long time for the day to come. Thanks, Noeleen. Hope you enjoy it. Wonderful news, Kit! And it’s fantastic that it’ll be available in ebook and paperback, so no one has to miss out on being able to get hold of a copy. Congratulations! Absolutely, Kit. Looking forward to getting my hands on a copy when it comes out. Thank you, Kath. I hope you enjoy it. Thank you, Pauline. Hope you get the chance to read it some time. Thank you Jan. It’s certainly been a long time coming. Thanks, Sue. It’s all a bit scary having one of your babies thrust out into the world after so long. Thanks Linn. So pleased you enjoyed it.